Luke Forest Hartle goes by the moniker of iamforest. His music is a bedroom pop project that makes use of dreamy and reverb-laden synths. It’s cascading waves of aquamarine. It’s soft and lazy but not lethargic. The three track EP was released on Oct. 5, which is potentially the worst thing I can say about this release. Everything on this album screams summer beach vibes. It’s an odd paradoxical mix. Usually when one hears the same lush style of synth textures Hartle uses on this record it’s warm and fuzzy, lending the style more towards winter themes. But Hartle’s latest EP is the epitome of summer chillwave to listen to on the beach while indulging in the new marijuana legalization. The first track, Snowhands opens with a pulsating wave of dreamy, mid-tempo electronic music before Hartle’s soft-spoken vocals are layered overtop. In keeping with the theme of paradoxes, Hartle adds another layer of juxtaposition through his sombre lyricism on the song. His voice is suppressed and hid behind a thin veil of electronic manipulation that creates a beautiful array of backing vocals. Acid Field is driven forward by an electric piano loop with Hartle’s ethereal vocal stylings placed precariously over a thumping drum beat with the occasional electronic-tinged drum fill. It’s a gentle and fragile song that warrants the attention and enthusiasm of a far larger audience. Throughout this EP, Hartle creates his music with professional consistency. The instrumentation is polished perfectly and fits and blends well with everything else happening on each track. It’s a surprisingly mature collection of tracks that reflects well on the potential Hartle has for new releases. 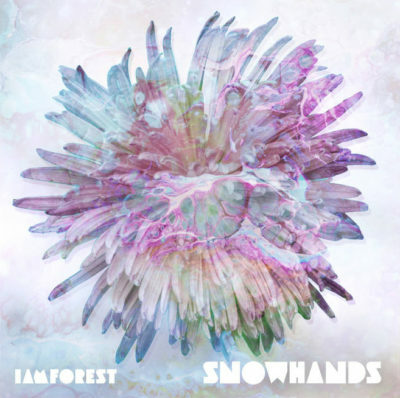 He started producing music under the alias of iamforest after he was unable to find people with similar musical inclinations and desires and while it was an ambitious path to take, he’s proved that he is fully capable of making excellent music. The closer, Flyer is reminiscent and fairly derivative of chillwave pioneer and genre face, Washed Out and that’s not necessarily a bad thing. For a genre that has become as widespread as chillwave, most of the music released by other contemporary artists fall short of anything meaningful. Hartle has been able to grasp the reins on a genre that has remained stale and uninteresting since shortly after its inception.